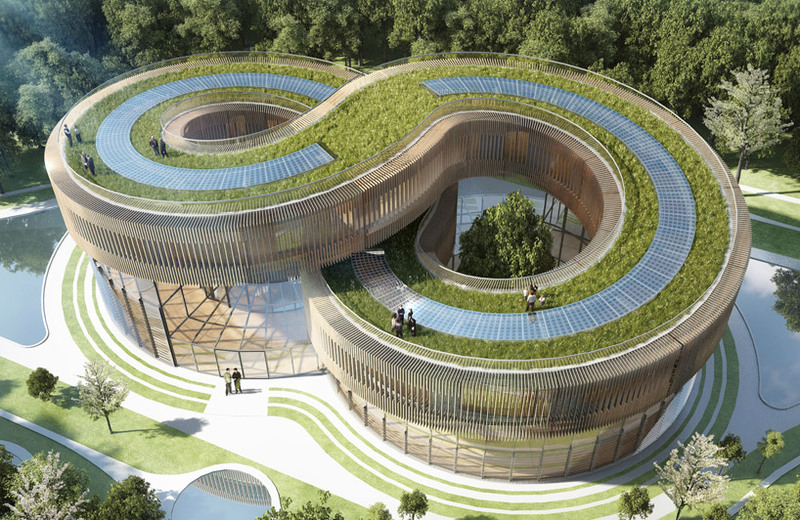 Vincent Callebaut Architecture have designed a series of plus-energy villas for a self contained eco community in China. 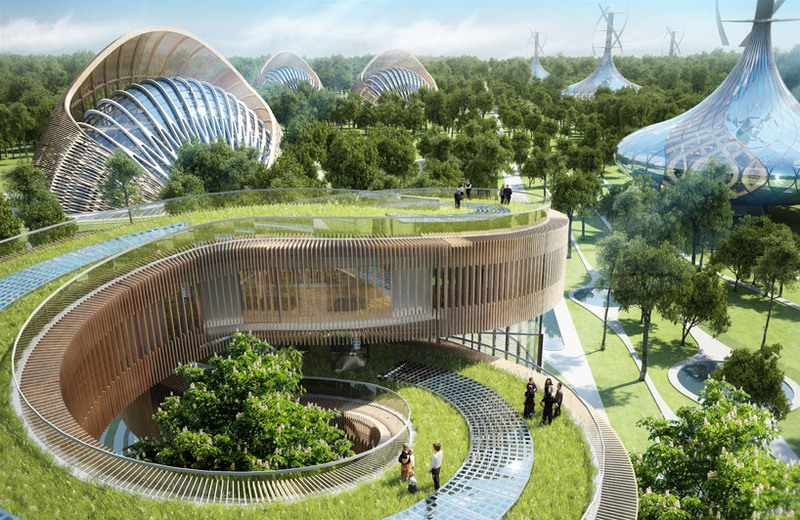 The Flavours Orchard project aims to encourage sustainable developments in China by showcasing the economic and environmental advantages of self sufficient buildings with efficient automated energy systems. 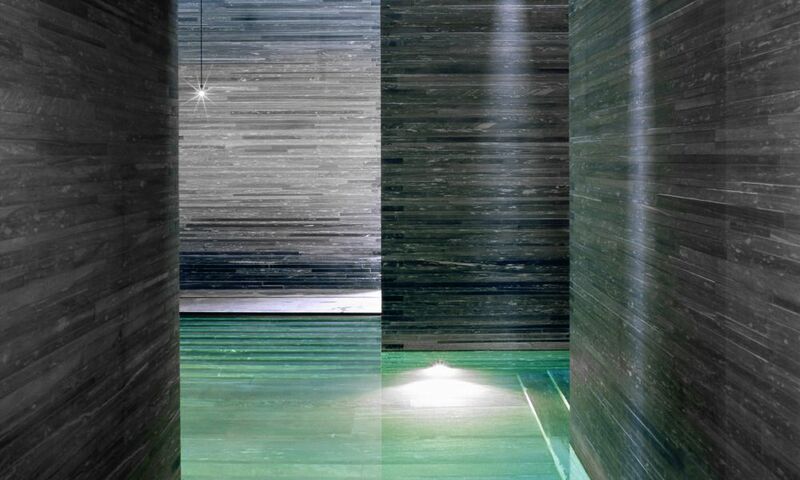 VCA presents 3 different building designs: Mobius Villa, Shell Villa and Mountain Villa, which heavily incorporate glass and timber in their structures. The 90,000m² Flavours Orchard site in Kunming features 15 of each of these designs (45 villas in total) and encourages their replication across China and the world. 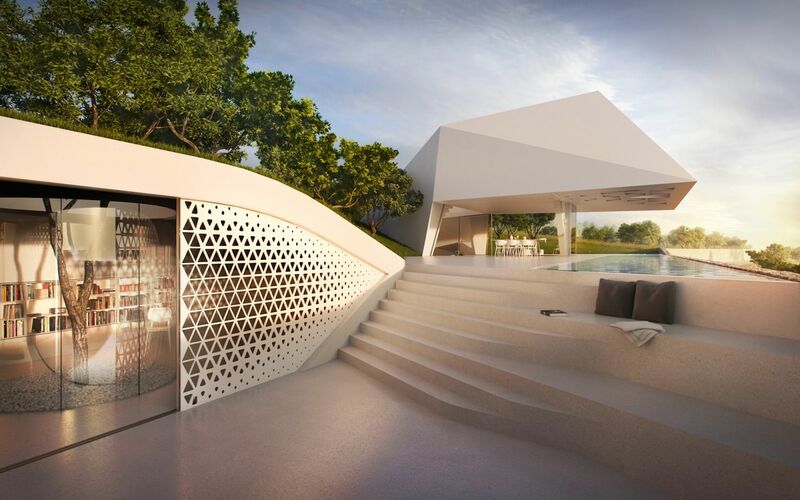 The Mobius Villa design is a figure 8 shaped structure which was inspired by the Möbius Strip. 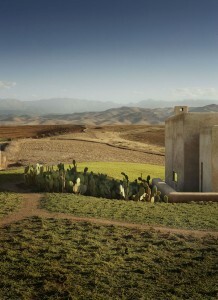 This eco dwelling features a living green roof as well as solar panels which can provide more energy than the building would require. 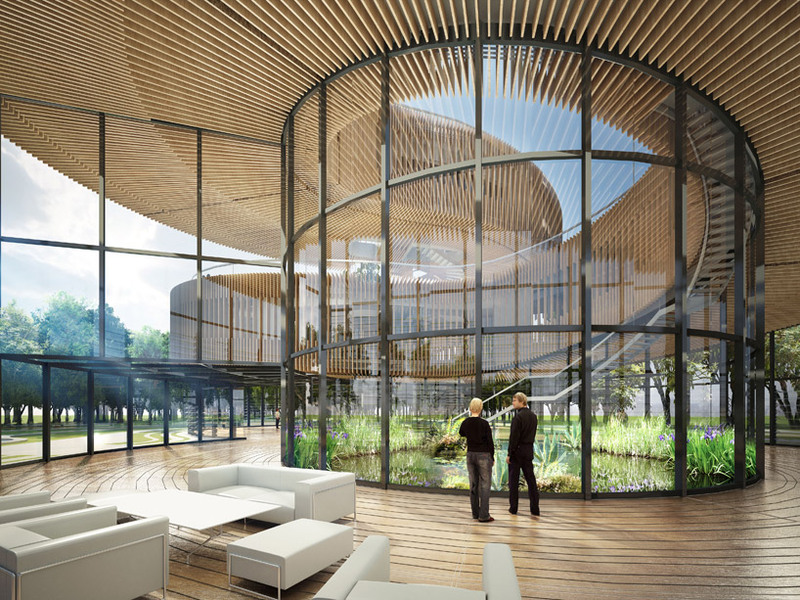 The building contains two enclosed natural environments within its loops: one plant based and one aquatic, to accommodate ecological diversity as well as serving as viewing spectacles for residents. 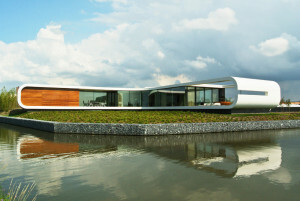 The structure might look complex and therefor expensive to build but the curved edges are in fact created by repeating the same trapezoidal module. These building blocks could be mass produced and would essentially fit together to form curved walls like bricks in an arch. 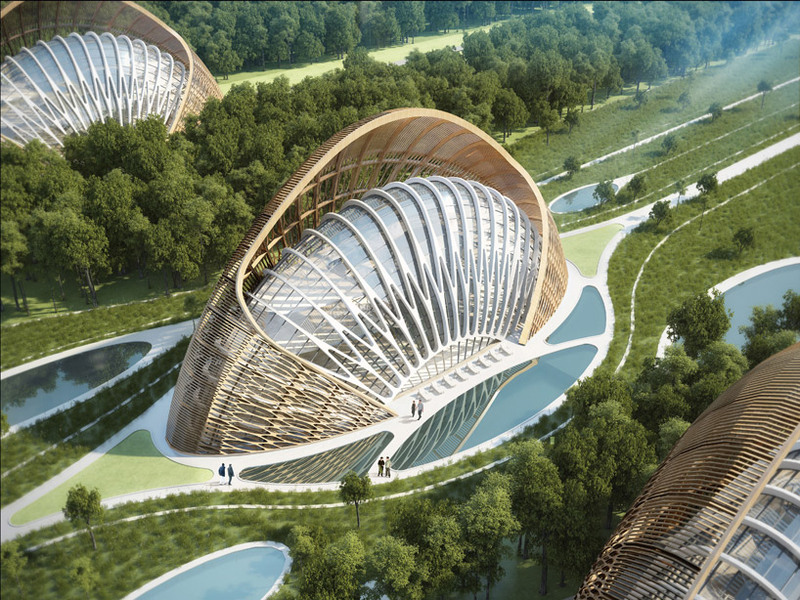 The Shell Villa is another concept by Vincent Callebaut Architecture and again has a strong emphasis on glass, wood and curves. These decanter shaped structures are raised off the ground by steel posts which could make them useful for flood prone areas. 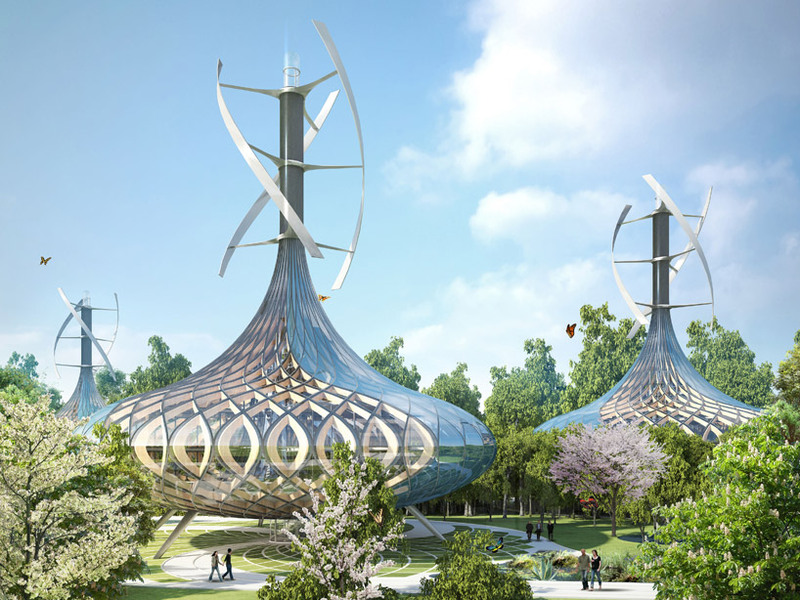 Shell Villas also feature vertical axis wind turbines at their pinnacles to take advantage of the wind above the surrounding buildings and trees of the orchard. 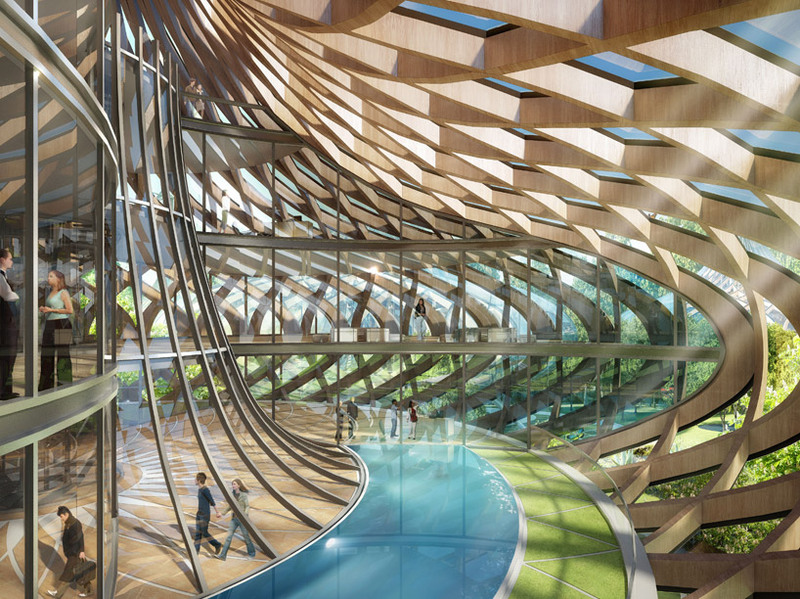 The final proposed eco design is the Mountain Villa which has a semi-circular, fan-like shape with expansive glass surfaces. 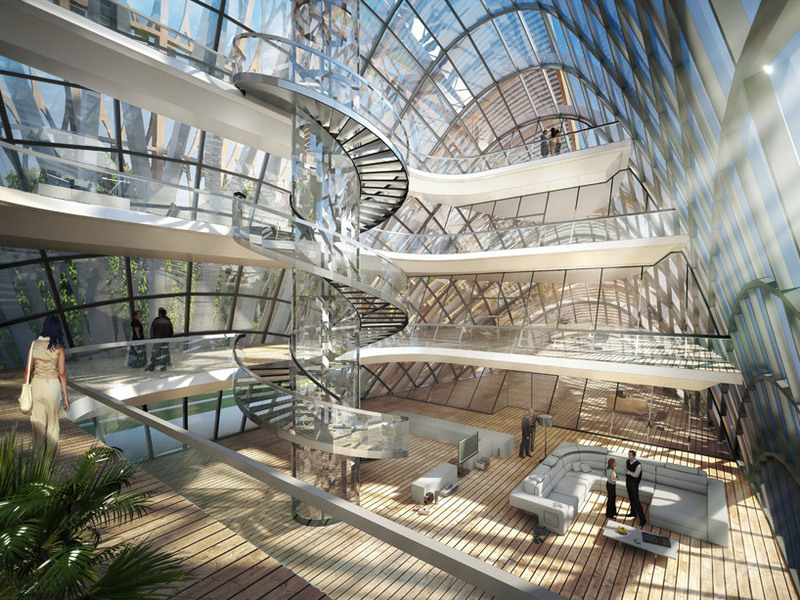 The elongated structure is orientated from east to west so that the exposed glass facade points south to make the most of the sun’s path which heats the building. 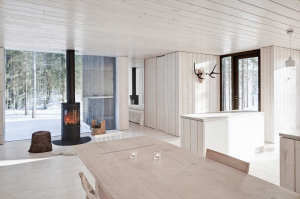 As with the other villas, glue-laminated wood has been used to create a framework around the curved shape. 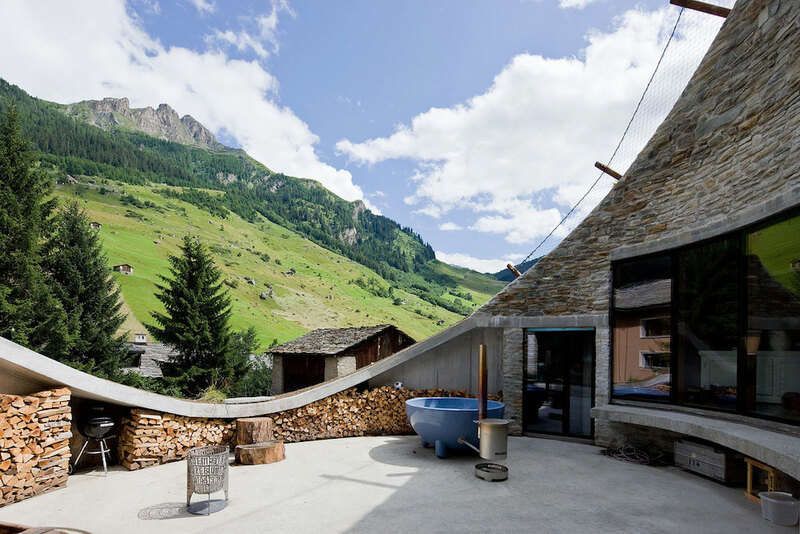 In the case of the Mountain Villa, it forms a mesh around the northern sides of the structure and serves as a wind shield while also affording privacy to the residents.